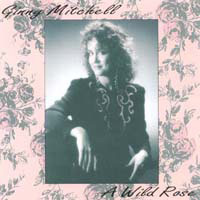 Americana folk with perfected songwriting, simple but memorable melodies and stories you have always known.The “Girls from Santa Cruz” CD Is the soundtrack from a one hour television special, featuring the music of Americana singer/songwriters Lacy J. Dalton, Mary McCaslin and Ginny Mitchell. Our objective is to raise public awareness of the plight of the women struggling to save the Wild Horses of Storey County, Nevada, by creating broadcast programming for PBS Television, and other broadcast, cable, DVD, CD and worldwide Web markets. 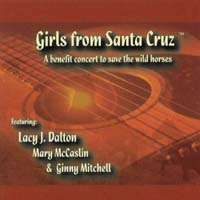 This gives the others an opportunity to share in the vision of building a permanent wildlife Sanctuary for the Comstock Wild Horses, and experience great Americana Music, performed by Lacy J. Dalton and her friends Mary McCaslin and Ginny Mitchell. An eclectic collection of live and recorded material collected over the last few years at various KPIG sponsored musical events. 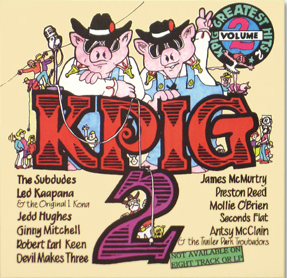 The CD will include 11 musical selections that are live or out of print and contains some of KPIG’s most requested and sought after music.